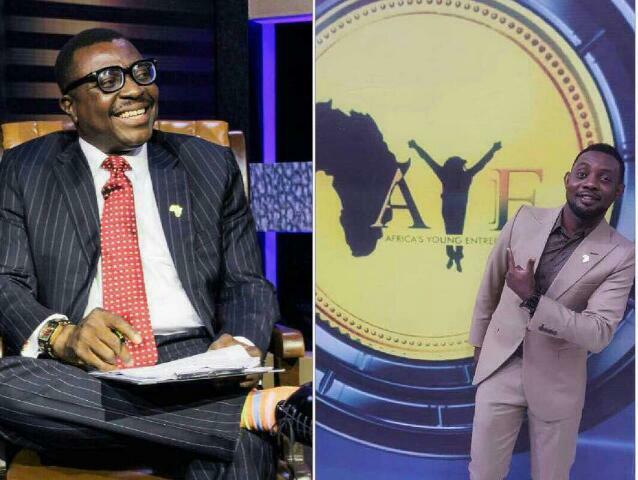 Nigeria’s renowned comedy kings; Ali Baba and AY have been nominated among others to join the A.Y.E network based on their passion, result, experience and journey towards entrepreneurship development in Africa. They sit on the panel with international business experts as judges on the Africa’s Young Entrepreneurs reality TV show. The show is the foremost entrepreneurial program in Africa, regarded as the largest entrepreneurial reality show in the world with over 100,000 participants and hundreds of beneficiaries empowered from the AYEEN (Africa’s Young Entrepreneurs Empowerment Nigeria) programme which was launched in 2014. AYEEN is an annual empowerment programme initiated by the A.Y.E organization to empower young Nigerians with start up capital, grants, business equipment, business branding /makeovers, business education, loans and mentorship with a goal to identify and empower the next generation of Nigerian entrepreneurs who will shape their country’s economic and political landscape. The reality show which will be shown across several TV stations in Nigeria such as A.Y.E online TV, MNET Africa Magic, NTA, STV, TVC, WazobiaMax, Rave TV, BRTV and many more with an audience reach of over 85 million people in Nigeria alone and over 123 million people worldwide, will be hitting the airways from October 2017 and will also be premiering in Genesis Cinemas Nationwide. This is a platform where thousands of young and passionate entrepreneurs will pitch their business ideas from all over the country to these international business experts who determines if their business idea can stand the challenge and test of time while the most deserving of these entrepreneurs will be empowered with grants, specialized skills, equipment, training and mentorship opportunities that will lead to job creation and youth empowerment for a more sustainable and progressive economy. The A.Y.E Reality Show has attracted several media partners due to its impact on the global economic market, and corporate partners such as FIDELITY BANK, FIRS, DANA AIR, AVIS, ORIENTAL HOTEL, GENESIS CINEMA, and several more. Sponsorship and partnership opportunities are still available for interested parties. For sponsorship, product partnership and advert placements you can email Mrs. Joy Michael on joy@ayeonline.org or call 08060040620.